The Sunbounce system consists of a lightweight aluminum frame that can be easily assembled and combined with different reflecting, light-reducing, or light-altering screens. 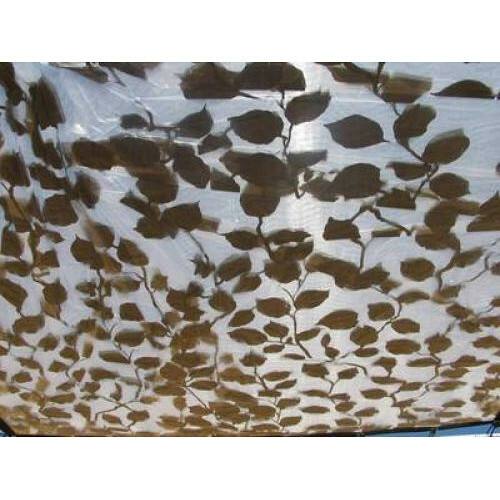 The Sun-Scrim Le Louche Transparent Screen (20x20') from Sunbounce is a 20x20' Le Louche screen for the 20x20' Sun-Scrim butterfly frame (not included), that modifies light by using the included roll of printed leaves on clear material (or any other objects you provide), placed between two layers of nearly transparent material for a slightly diffused, mottled cucoloris effect. The type of mottling can be changed as often as you wish by changing the objects (painter's foil, paper cut-outs, fake leaves, or even packing tape) on the screen. The butterfly frame holds the screen taut, ensuring consistent light modification. Bungee cords required for attaching the screen to the frame are available separately. Stands not included.